MASTER PROBLEMS Education and Learning How to deal with students debts and college costs? 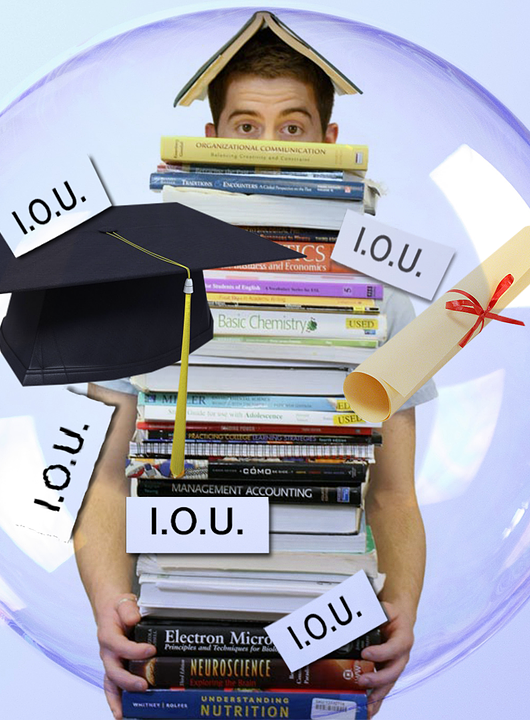 How to deal with students debts and college costs? Student debt is a major issue in today’s times for prospective and current university students who are looking for ways to acquire money to get through college. However, the fact is that acquiring student debt and paying it off is easier said than done. There are numerous surrounding issues that add to the complexity of the debt. For example, the cost of acquiring and benefiting from the debt is not understood by most people. Students at University of Louisville, being unfamiliar to the pros and cons of student debt and lacking astute economic sense fall into the trap of money-minting schemes put forth by banks and other lending institutions. That’s not all that needs to be looked upon; however, there are even more critical issues that need to be dealt with by and large. The total amount of student has crossed a colossal figure of $900 billion, which then again is a ballpark figure. Surprisingly, this figure is second only to the mortgages as the basic debt for consumers in the United States. These figures tell that the need to acquire a college/university education has not only increased over time but has also benefited lending institutions a great deal. Currently, there is a rise in the number of students at University of Louisville defaulting on their loans, which is triggering alarms for the lenders to take some action to either revise the interest rates or develop a strategy plan to help the students pay back their loans within a given time frame. This would help students avert the need to further accumulate the cost of paying back the loan. Around, 14 percent of student debt is past due which has forced colleges and universities to help students ease their financial burden. The average University of Louisville student graduating in the class of 2011 had $26,600 in student loans. One of the initiatives is the family or sibling tuition discounts or plans and programs that offer family rates in case more than one person from a family attends the same university i.e. University of Louisville. A lot of these programs and plans help deduct thousands of dollars from the heavy tuition fees and in some cases eliminates the tuition costs of one sibling altogether. This not only helps students who are currently enrolled in University of Louisville, but also encourages prospective students to pursue their higher education. the increased cost of higher education as well as the financial burden on people has forced us to help them lower their education costs at least." The university at present cuts $2,000 from its annual tuition fee for every sibling enrolled at the same time. There are various other colleges that are offering the same kind of plan to facilitate students with lower tuition fees. However, it should be noted that the overall benefits associated with these programs vary in programs developed by University of Louisville. University of Louisville therefore, decided to reduce tuition fees by half, at least, for a younger sibling. Hood College’s Family Tuition Plan says that under the Family Tuition Program, if one person from a family enrolls as full-time undergraduate student at full fees, the other people from the family enrolling at the college will receive a reduction of at least 25% in tuition fees irrespective of whether they are undergraduate or graduate students or part-time or full-time students. According to the plan, as long as one person is paying the full undergraduate tuition fee, the family tuition program will stay in effect. Family tuition plans are becoming extremely popular, especially for families that have more than 1 child, to pay for education expenses. These plans are also great for people because they can avoid acquiring student debt for higher interest costs, whereas in many cases the other sibling from a family receives the benefit of complete tuition fee waiver if a sibling is already enrolled at the University of Louisville. This helps in taking the right steps for tackling student debt. Celina is consultant for higher education and community manager at Consolidated Credit. She writes for various educational publications and her blog to help prospective students on managing student debt. She believes taking the right steps towards a proper debt management plan can help if you are in a financial bind."